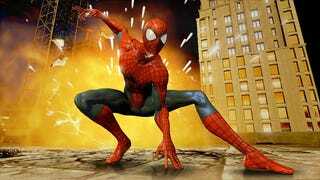 In a couple of weeks, Activision will release The Amazing Spider-Man 2, a game based on the movie. It'll be out on just about every current-gen platform... except Xbox One. We are working with Microsoft in an effort to release The Amazing Spider-Man 2 video game on Xbox One. Currently, the game will be available on PlayStation 4, PlayStation 3, Xbox 360, Nintendo Wii U, Nintendo 3DS and the PC on April 29, 2014 as previously announced. Sorry, Xbox One owners: I pushed back a few times, but Activision had nothing more to say. Ridiculous? Yep. Unfair? For sure. As I said to a representative for the company: "Well, come on - what about people who only own an Xbox One and really want to play the next Spider-Man game? Activision really won't give them more of an explanation than this?" Maybe there are technical reasons for the delay. Maybe it's political. Maybe the folks behind the game just didn't have time to finish the Xbox One version. Whatever the explanation, it'd be lovely if Activision could talk to their fans like human beings and at least give them some picture of what's going on. But hey, this is par for the course in the video game industry, where publishers have created a culture of corporate silence that affects everything, from accidental announcements to inexplicable absences. It will never stop being ridiculous.